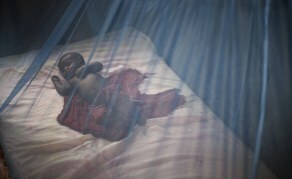 Malaria is one of the world’s biggest killers. In 2010, an estimated 660,000 people lost their lives to the disease – most of them children in Africa, where a child dies from malaria every minute. Until recently, however, it was difficult to access information about the locations of Africa’s malarial hotspots or how they are influenced by the weather there. Information about the continent’s malaria distribution was scattered across published and unpublished documents, often gathering dust in libraries. But now, thanks to a digitised malaria mapping database that brings together all available malaria data, the disease no longer has the ‘blind killer’ status of past decades. MARA – Mapping Malaria Risk in Africa – was launched in 1996, with initial support of US$10,000 from the WHO’s Special Programme for Research and Training in Tropical Diseases to map information on malaria prevalence across Africa. The project’s first phase (1997-1998) aimed to produce an accurate atlas of malaria risk for Sub-Saharan Africa. The project was set up as a pan-African enterprise, not owned by any specific organisation but coordinated by South Africa’s Medical Research Council, in the spirit of open collaboration. A group of scientists, based at institutions across Africa and Europe, worked together on the project. Further funding came from donors including Canada’s International Development Research Centre, the Wellcome Trust, TDR and the Multilateral Initiative on Malaria (MIM), and the Roll Back Malaria Partnership. African institutions contributed through expertise, staff time and facilities. Five regional centres – each using a standardised data collection system, were established across Africa. French-speaking West had an office in Bamako, Mali, while English-speaking West had a base in Navrongo, Ghana. Yaoundé, Cameroon hosted the Central Africa office; Nairobi, Kenya hosted the East Africa post and Durban in South Africa became home to the Southern Africa centre. The project built expertise among local malaria control staff to enable them to reference the collected data, and it trained epidemiologists, medical doctors and researchers. In total it trained: 33 people to use GIS (geographic information systems) and databases, 23 to study climate change effects on the spread of the disease and 45 to interpret the results for people who might want to use them. Eight people got master’s degrees and PhDs on malaria. The mapping project tracked down information on malaria prevalence from both published and unpublished sources to identify malarial mosquito hotspots, disease prevalence and the weather conditions that fuel transmission. The MARA database contains more than 13,000 malaria prevalence surveys collected over 12,000 locations: with 37 per cent in Southern Africa, 33 per cent in West Africa, 25 per cent in East Africa and five per cent in Central Africa. The data remains live but no new material is being added. The project then disseminated this information to national and international policymakers, distributing 3,000 poster-sized malaria distribution maps to malaria control programmes, health departments and research institutions in malaria endemic countries. Whereas previously the absence of centralised records had made choosing appropriate solutions very difficult, the new data systems help countries identify transmission periods, implement control programmes and tailor control measures according to individual contexts – which also saves valuable resources. Rajendra Maharaj, director of the Malaria Research Unit at South Africa’s Medical Research Council, says the project has a strong legacy in the support it provides for the planning of malaria control programmes. Konstantina Boutsika, an epidemiology and public health researcher from the Swiss Tropical and Public Health Institute (Swiss TPH), in Basel, Switzerland, where the database is now hosted, says the original maps are still available as downloads from the MARA website, as is a CD-rom developed by South Africa’s Medical Research Council to enable easy access to MARA project data. Boutsika, who has been at MARA’s helm from 2006, says a project highlight is the first accurate assessment of the malaria burden in Africa, which has been made possible by advances in geographical modelling. “We can now give useful answers with regards to malaria,” she says. MARA has made its results available through the technical reports published regularly on its website in both English and French. The programme’s main beneficiaries have been identified as scientists, malaria control programme staff and local communities. Maharaj says the scheme helps alleviate disease and death, especially in children and pregnant women, and has contributed to the efforts to reach the sixth Millennium Development Goal on combating HIV/AIDS, malaria and other diseases. MARA was also one of 700 projects – selected for their exemplification of practical solutions to challenges – presented at the EXPO2000 world fair in Hanover, Germany. The programme owes its success to its strong team of investigators from participating organisations, Maharaj says: “The big lesson was inter-country collaboration, which is essential for malaria control”. It has not all been smooth sailing, however. The main challenge was the collection of non-digitised data, explains Maharaj. “But this was overcome by teamwork, whereby malariologists from all walks of life worked within ministries, academic and scientific institutions to source data that was stored in archive boxes, university libraries and government storerooms,” he says. And Boutsika adds that obtaining funding to sustain the programme was difficult because harmonising various databases required a heavy investment. When funding for research ran dry in 2006, the project was given a new lease of life by the Bill & Melinda Gates Foundation and Swiss TPH, and moved from Durban to Basel, where phase II was launched. In 2009, the software team at Swiss TPH merged the MARA databases from phases I and II and developed a new web interface. Since then, the MARA database has been in the public domain accessible to registered users and can be downloaded in different formats. Boutsika says researchers individually continue to collect data in Africa and use the MARA database as a sounding board. This entry was posted in Child Deaths, Malaria, Swiss TPH and tagged Bill & Malinda Gates Foundation, Disability, Disability Aid Abroad, MDGs on September 30, 2014 by disabilityaidabroad.